Every MB church and partner organization is building community at all levels for kingdom ministry. Every year, preceding our annual Convention, ONMB invites all pastors and leaders to attend a Leadership Development Day. 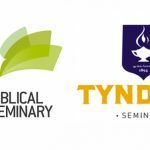 This daylong event features one or more keynote speakers who build into our pastors through a variety of topics relevant to ministry and thematically related to the focus of our Convention for the year. Our annual Convention takes place at the end of February. It is an opportunity for us to gather together to celebrate the activities of God in our midst over the past year. Together we delve into the financial and operational details of ONMB and reports from its partner ministries. In order to stay connected with our church families and to engage the members of these churches in our greater family dynamic, our Executive Director and board members plan regular visits to our various church communities in Ontario. Occasionally, they are invited to preach and share with the congregations as well. ONMB leadership provides crisis support and conflict resolution when necessary. We have resources available for our churches and leaders to navigate these tough areas, and will assist our churches and/or leaders at whatever level these situations require. ONMB seeks to communicate regularly with our pastors and member churches. We publish a monthly newsletter, and look to expand our sphere of communication to include social media networks such as Facebook, Twitter, and Instagram.